Sea Journey is rated 4.3 out of 5 by 6. Rated 5 out of 5 by haverhoff27 from Where is Sea Journey 2? This is one ingenious, fun awesome Match 3 game. 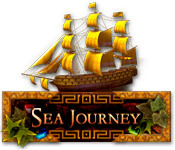 Now how come there is no sequel, the Sea Journey 2, 3, 4'S or just improve on it and give us MORE, .. PLEASE!? I totally enjoyed this game, .. in the NEXT one, how about boarding the other ships? Come on, start working on it already! Oh yeah, the ending was a real fun challenge puzzle, can't wait to see what they come up with next! Rated 5 out of 5 by Girtabik from Classics! Great game! One of my favorite M3 of all times. Music, storyline, puzzles, action - everything is on the highest level. I HIGHLY recommend this game to everyone! Rated 4 out of 5 by bessiegirl from a lot of fun...until the battle This was a great match 3 game. You play against the computer/game which really adds to the excitment and challenge. Loved every minute of it until it changed and was no longer a match 3 but just a battle between two ships. Played it over and over and never could win and that takes the fun out of everything. I can understand "challenge", but when it becomes so difficult you can never win and just end of replaying and replaying...it become a no fun game. So sad, because up until that time, it was terrific fun. I wish it had just stayed a match 3 game. I finally tossed in the towel since the level never seemed to go anywhere. But still, a good game while it was just a match 3. Rated 4 out of 5 by coljoy1 from Wish they'd make Sea Journey 2 I had some problems with the initial download and it wasn't running smoothly but once it got worked out, I really enjoyed the game. I liked the special effects...the sounds and explosions. Wish they would make another newer version that runs better but same idea. The idea behind the game is awesome! Rated 4 out of 5 by bootsky from Addictive M3, Sea Journey an M3 with a difference You are challenged by being opposed by the computer. I found the story & the game play great fun & very addictive. Although I have not totally finished the first game I have started a second one under a different profile. 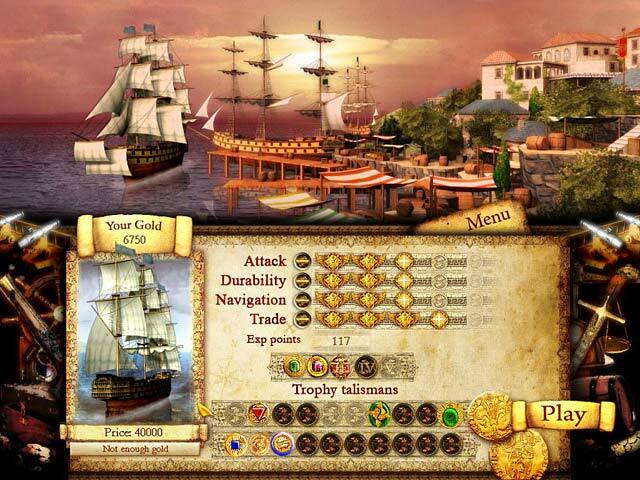 I would think that it would be an enjoyable game for a male too as there are cannons, ships pirates etc! Rated 4 out of 5 by Imp22 from Fun Battle Match 3 Sea Journey is an unusual Match 3 in that you have a computer opponent. The screen is set up where the top part of the screen has a ship on the left (yours) and a ship on the right (the computer’s). This is where the actual battling takes place. Under this area is the match 3 board. You get 3 turns to make matches. If you match 4 you get an extra turn, match 5 and you get 2 extra turns. When your 3 turns are done, it is your opponent’s turn to make 3 matches. 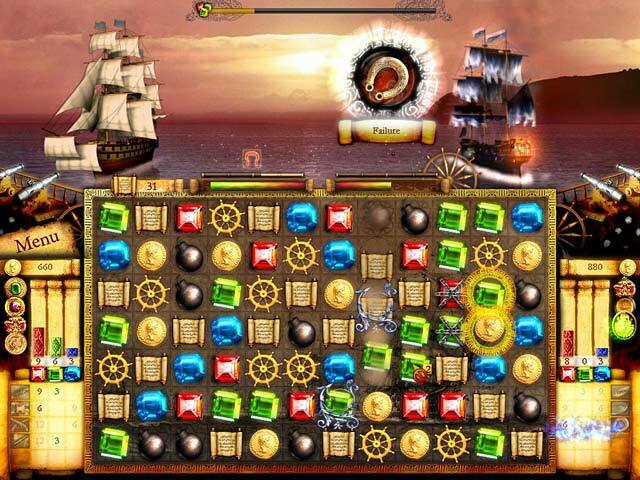 Your matches net you gold, gems, experience points, bombs, and the ability to maneuver your ship further from your opponent. Experience Points are used to upgrade your Attack Durability Navigation Trade When you collect a trio of bombs, your ship fires upon your computer opponent’s ship. The round ends when one of you sinks the other ship. Also as you collect gems, the meter at the very top of the screen that starts filling. When this meter is full… it starts collecting all the bombs fired, both from your opponent and you. You can save them all to make one huge volley that, if big enough will sink the opponent’s ship. As you progress you can go to port and upgrade you ship or experience, allowing you to use talismans. 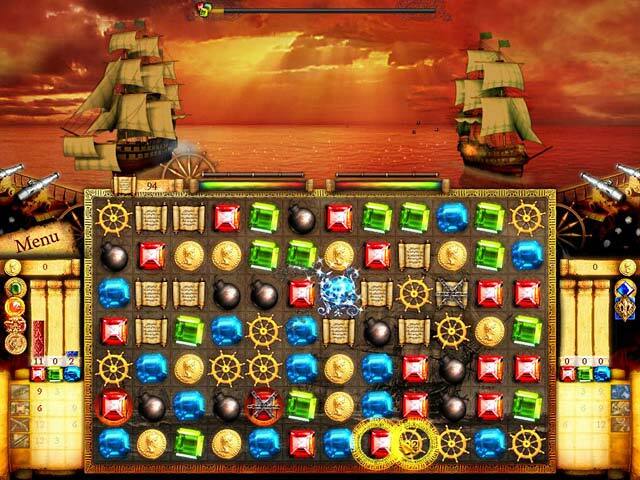 Each ship has different strengths and uses different color gems to make maneuvers on your opponent. In addition to the match 3 element... there are various mini games, that are fun to play. This game is quite long and just when you think it's done... there is a final battle that is extremely challenging. For an older game, the graphics are awesome. The scenery is beautiful, too. The music is nice… but after awhile can become somewhat repetitive. If you are looking for something different, give this game a try.